I'm really panicing this morning. Last night, one of the 2-foots came home, and put Flopsy Girl straight into a carrier. 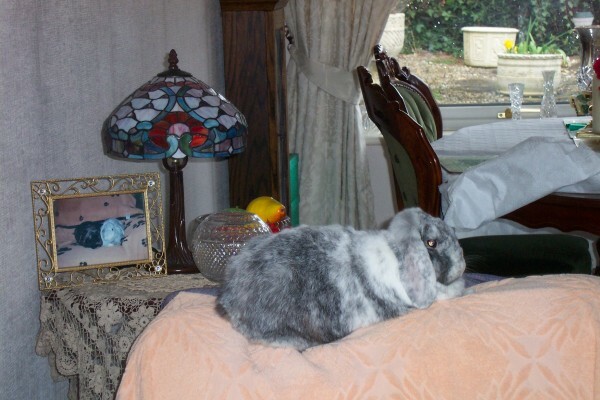 Her said that he was taking her to see Auntie Francis (the best bunny vet in the world), but that can't be true, because when he came home, he did not have Flopsy with him! I want to know what he has done with my Flopsy Girl, I'm frightened that I'm not going to see her again! Oh dear, please keep us informed of Flopsy Girl. Please don't worry, we are sure things are okay.